This article originally appeared in the March, 12, 2018 issue of SpaceNews magazine. Inhabitants of the tiny tropical island of St. Helena pay through the nose for internet service that mainlanders would have considered painfully slow during the pre-Netflix era. The British-governed territory depends on the geostationary satellite Intelsat 23 to connect its 4,500 residents to the outside world. That satellite provides the island’s only internet and international telephone connection via a single 7.6-meter dish. Sure South Atlantic, the island’s monopoly telecommunications provider, sells data packages ranging from 750 megabytes a month at 1 megabit per second for $18 to a maximum 21 gigabytes per month at 2 megabits per second for $210. With average wages on the island being a meager $7,000 a year, the more expensive packages are out of reach for most of the island’s inhabitants. Von der Ropp is spearheading an initiative to bring St. Helena’s telecom infrastructure into the 21st century. The project involves satellites, but not in a way you might imagine. Von der Ropp is working with St. Helena’s government on behalf of the nonprofit A Human Right, which works to bring internet and phone access to developing countries, to invite satellite and teleport operators to establish ground stations on the South Atlantic island as part of a plan to fund an extension of a subsea fiber-optic cable. So far, the plan seems to working. 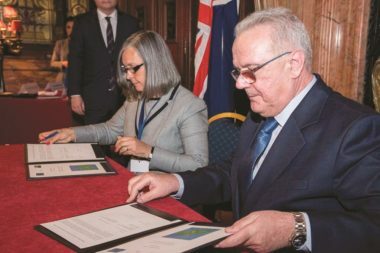 Last year, the island’s government signed a Memorandum of Understanding with South Atlantic Express International Ltd. to build a 50-kilometer offshoot of a planned subsea internet cable to be laid between South Africa and Brazil in 2019. St. Helena, largely dependent on U.K. aid, expects to receive 21.5 million euros ($26.5 million) from the European Union by May to fund the extension. “We are in the final stages of obtaining European Development funding,” McGinnety said. With that money, St. Helena will pay South Atlantic Express to alter the route of its main cable and extend a branch to the island. The actual cable, however, is only about a quarter of the project’s overall cost. The most expensive piece is capacity. The smallest increment of bandwidth the island can buy is a 200 gigabits per second, far more than the islanders need, von der Ropp said. That’s where ground stations come in. 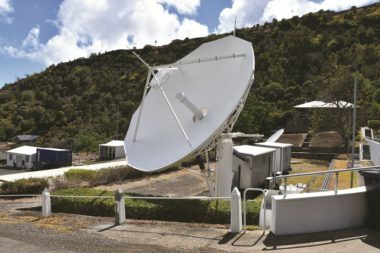 St. Helena needs ground station operators and firms planning megaconstellations to help cover the ongoing cost of bandwidth. In all, 14 satellite and ground station companies have signed letters saying they would be interested in building ground sites on St. Helena if the fiber-optic cable goes through, von der Ropp said, but not all of them are ready to publicize their plans. Kongsberg Satellite Services (KSAT) could use ground stations on the island to improve service for small satellites launched from the International Space Station, said Katherine Monson, U.S. business development director for KSAT, a Norwegian company. Atlas Space Operations could support launch and early-on orbit operations of satellites sent into orbit from French Guiana, Florida’s Cape Canaveral or future European spaceports, said Sean McDaniel, founder and chief executive of Atlas Space Operations of Traverse City, Michigan. Sky and Space Global, a British public company with plans to launch 200 nanosatellites to provide telecommunication services for equatorial regions, is interested in St. Helena for its proximity to the equator and the fact that the island falls under U.K. laws and regulations, said Meir Moalem, Sky and Space Global chief executive and managing director. 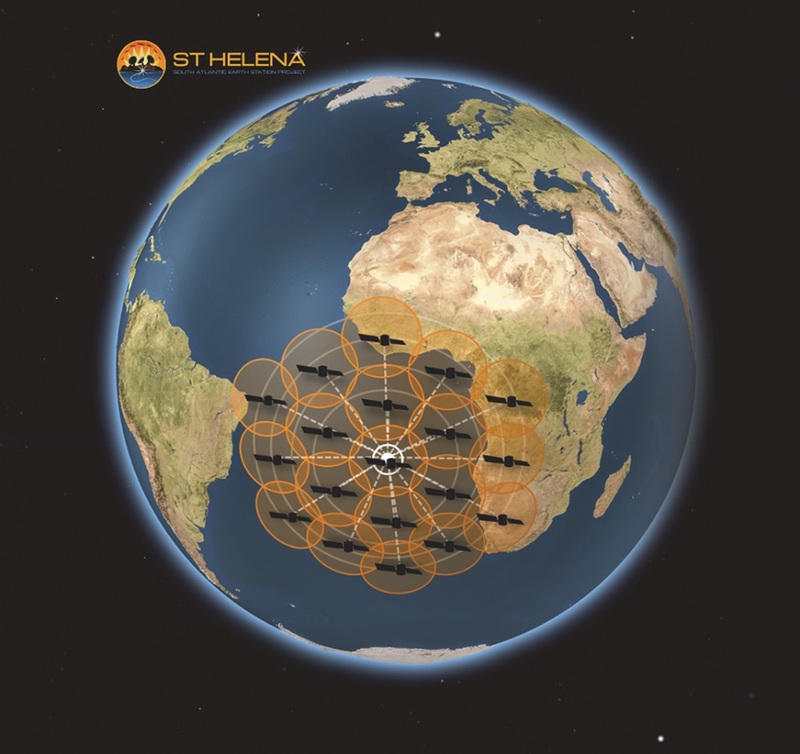 In addition, Spire Global, OneWeb and Laser Light Global have expressed interest in St. Helena, von der Ropp said. “Laser Light intends to locate one of its planned 100 Ground Node Systems on St. Helena’s as early as 2019 in order to provide a variety of optical services to our international customers,” said Robert Brumley, president and chief executive of the Reston, Virginia, company with plans to send 12 optical communications satellites into medium Earth orbit. 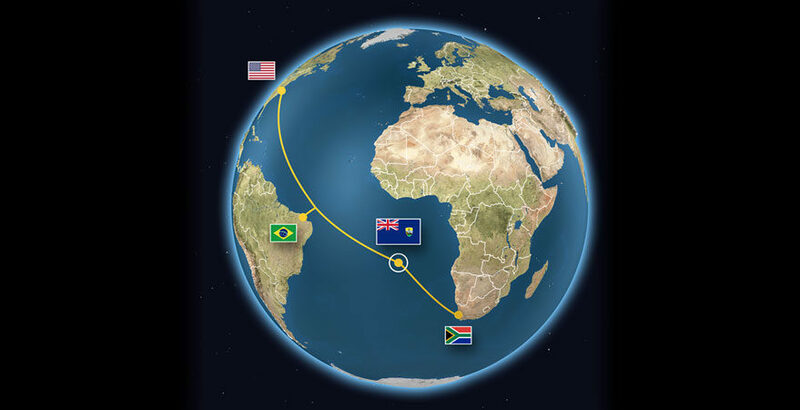 Laser Light’s node on St. Helena would serve as a recovery option for cable traffic disrupted as it travels between Latin America and Africa, he added. Spire spokesman Nick Allain, Spire brand development director, would not confirm the report, saying the company “doesn’t comment on the location of future ground station sites.” OneWeb spokesperson Chris Torres also declined to comment. According to OneWeb’s Federal Communications Commission filings, the constellation will rely on a network of about 50 or more gateway earth station antennas located on the global fiber network to blanket the planet with high speed internet connectivity. If all goes as planned, the Connect St. Helena campaign could bring high-speed internet to the residents of the remote island in 2020 and jobs even sooner. Workers building, operating and maintaining the new ground stations will boost the local economy, von der Ropp said.